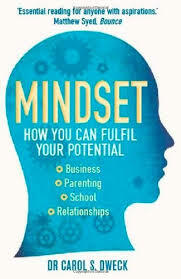 Importantly for educators, parents and anyone who values quality life long learning, Dweck shows that simply by praising effort not results we can support and enhance any individuals growth mindset. As someone who once stopped watching sporting friendlies as the pointlessness of the result makes for boring and substandard performances, this seemed all wrong – but life is not sport, and Dweck’s research shows that on an individual basis praising the effort works. Best of all, put a growth mindset with a support infrastructure that praises effort and a love of the learning process is created and the golden nugget of self motivation, value, thirst for knowledge and experience, greater effort, enhanced growth mindset, self motivation… a virtuous circle. Yes. Although initially the self helpy front cover and format and celebrity story telling technique made me suspicious early on. Stick with it though – it is worth it. Even in the growth mindset, failure can be a painful experience. But it doesn’t define you. It’s a problem to be faced, death with, and learned from. ‘But some teachers preached and practiced a growth mindset. They focussed on the idea that all children could develop their skills, and in their classrooms a weird thing happened…The group differences had simply disappeared under that guidance of teachers who taught for improvement, for these teachers had found a way to reach their “low ability” students. 1. After your initial enthusiasm for praising effort rather than achievement how are you finding it now? If it’s dropped off a bit and carrot/stick etc. is reappearing, try introducing a 1 to 10 scale of effort with your kids for key activities and get them to score themselves and compare to your score – we’ve found this adds some gamification/fun to what can become overly worthy and has highlighted key points for intervention/support, such as when the child has had a bad session/lesson and achieved little but actually tried really hard – they often score low forgetting its effort that’s being scored – and vice versa of course where they’ve not been challenged enough and acheived a lot and give themselves a 10!